In the afternoon, Montague and Groves met with Secretary of War Patterson. Quite possibly these meetings with Montague and Groves had to do with Montague's upcoming appointment as the new base commander at Sandia. Then again, we have two generals flying in from New Mexico the day after the Roswell incident, one an expert on missiles and the other on atomic weapons. There has also been some testimony that units from Fort Bliss and White Sands were involved in the Roswell recovery. Adding to the intrigue are rumors of some of the Roswell material (and even an alien) being taken to Los Alamos and Sandia for analysis. Furthermore, both Montague and Vandenberg were allegedly part of the so-called Majestic 12 UFO control group established a few months later, according to highly controversial "documents" that showed up in a suspicious way in the 1980s. Even if we discount the so-called "MJ-12" papers as exceptionally clever frauds, we still have the fact that one of the alleged members, Dr. Vannevar Bush, was definitely implicated as heading a secret UFO study group within the RDB in unquestionably authentic documents. Furthermore, Vandenberg attended a lengthy, suddenly-called meeting of the JRDB headed by Dr. Bush on the morning of July 8. And as noted in the section immediately below, Army Air Force Chief of Staff Carl Spaatz had written a letter to Bush on July 7, subject matter unknown. Gen. Doolittle, Vandenberg's UFO point man during the 1946 European ghost rocket phenomenon and possibly also in charge of the Foo Fighter investigation for Truman during WWII, also showed up on July 9 in a lengthy meeting with Vandenberg and Army Chief of Staff Eisenhower along with AAF Secretary Symington and Gen. Norstad, AAF Director of Plans and Operations. Immediately afterwards was a meeting of the Joint Chiefs of Staff. Was this a social gathering or something else? As mentioned at the beginning, Gen. Vandenberg was the acting AAF Chief of Staff at the Pentagon, because Gen. Carl Spaatz, the Chief of Staff, was out of town, supposedly vacationing in the Pacific Northwest, including going fishing in Medford, Oregon. This was reported in many newspapers on July 7, such as the New York Times. While in the Pacific Northwest, Spaatz was asked to comment on the flying discs, and "denied knowing anything about the flying discs —or of plans to use AAF planes to look for them. ‘I've been out of touch with things for four or five days.'" Then it was reported he supposedly went fishing in Medford, Oregon. However, recent research by former MUFON head James Carrion indicates Spaatz's activities were not so simple. In fact, what can be documented seems confusing and contradictory, leaving open the question as to exactly Spaatz's whereabouts between July 7 and July 10 at the height of the Roswell incident. On July 10, the Corpus Christi, Texas newspaper reported Spaatz arriving there and then fishing at Port Aransas, near Corpus Christi. Carrion asks the question, "Why did he continue on his fishing expedition in Texas if Roswell allegedly represents a watershed event in human history?" Indeed! What was Spaatz up to? Inspecting an Army Air Field in Tacoma on July 7, then supposedly going fishing in Medford. On July 10, flew to Randolph Field, San Antonio, Texas on his B-17, then flew himself to Kerrville, TX (northwest of San Antonio), and then flown by private plane to Corpus Christi, arriving by 5:30 PM. Went deep-sea fishing from July 11-13 at Port Aransas. On Thurs., July 10, was a story of Spaatz promising the mother of Gen. Frank Lackland that he would be there in San Antonio on Sat. morning July 12, for the dedication of Lackland Army Air Base to her son (Kelly and Lackland are adjacent to one another). To add to the confusion, Stanton Friedman tracked down Spaatz's flight log and desk calendar at the Library of Congress, which instead placed Spaatz in Corpus Christi on July 7 and "Fishing at Port Aransas". So did Spaatz go fishing in Medford or Port Aransas on July 7, and why does Spaatz's flight log and calendar contradict the newspaper reports? Supposedly off fishing in Medford, Oregon on Mon. July 7, or was it Port Aranas, Texas? Whereabouts unknown on Tues., July 8, the big day of the Roswell incident. Wed. morning July 9 arriving at Kelly Field in San Antonio, supposedly from Hamilton Field, Calif., supposedly returning to Washington, only he didn't. On Thurs., July 10 flying into San Antonio AGAIN, but another base (Randoph Field), on his way fishing to Corpus Christi/Port Aranas, arriving Port Aranas at 5:30 p.m. Thus whereabouts unknown again in San Antonio area for about a day from July 9-10. On Fri., July 11, fishing at Port Aranas (photo of fishing party in Corpus Christi Times). Sat. morning, July 12, back in San Antonio AGAIN at dedication of Lackland Air Base. Sun. July 13, back fishing in Port Aranas as originally reported, or doing something else? Why the convoluted trail about where Spaatz was at between July 7 and July 13? Carrion advocates an even more convoluted conspiracy theory about Roswell and the flying discs being created by military counterintelligence to supposedly smoke out Soviet spies and that Spaatz's presence in Texas was somehow part of this. But I fail to see how this makes any sense. The Chief of Staff would not need to be involved in any of this, being in Texas would add nothing, and anyway his presence in south Texas was barely even reported. However, Randolph Field, San Antonio, where Spaatz reportedly flew to July 10, had became the School of Aviation Medicine in 1947. It was also only a few miles from Fort Sam Houston, home of the 4th Army. In 1946 the Institute of Surgical Research, which specialized in trauma surgery, was moved to Fort Sam and Brooke Army Medical Center` from Halloran General Hospital in New York. It would make sense that if there were bodies killed in an air crash at Roswell, at least one might end up at the surgical research facility in San Antonio for examination and/or preservation. 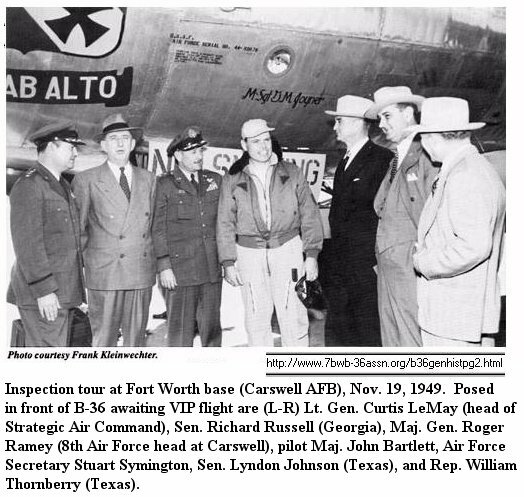 We know of one flight from Roswell to Fort Worth late on July 9, with the circumstantial evidence pointing to bodies being on board (see B-29 flight). From there, one or more could possibly have been flown to Randolph Field the following morning, July 10, with eventual destination either being the School of Aviation Medicine at Randoph or the trauma research facility at nearby Fort Sam. If this were the case, it would make perfect sense for Spaatz to fly to Randolph Field to view the bodies early on July 10, before finally proceeding on later that day to Corpus Christi for his fishing trip. Then pop into San Antonio again on July 12 to see what had been discovered, using the dedication of Lackland air base as a natural cover story. It is also interesting that Gen. Roger Ramey, commanding officer of the 8th AAF at Fort Worth and architect of the Roswell weather balloon cover story, was also near Spaatz on July 10, in Harlington, Texas, only about 90 miles down the coast from Corpus Christi. 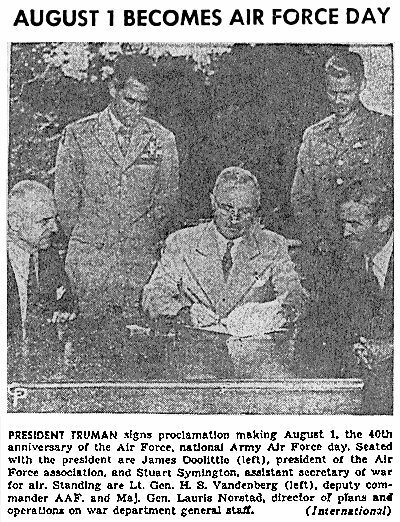 The Harlington paper reported Ramey being there to inspect and help coordinate an upcoming air show in honor of Air Force Day. Ramey was quoted denying that the flying discs were some secret military project, and then after his duties there was also reported going fishing. Ramey's presence had been announced in the Harlington paper the previous week, so being so close to Spaatz could easily be a true coincidence. However, Ramey's whereabouts while Spaatz was in the area are not well-documented and the close proximity would make it easy for Ramey and Spaatz to meet, but it is currently unknown if this actually happened. On July 9, United Press' main Roswell article led with an opening sentence stating that the Army and Navy were conducting a debunking campaign in order to stop all the rumors about the flying saucers. This included a number of weather balloon demonstrations apparently designed to convince the public that these accounted for all the flying disc sightings. In addition, some high-ranking military officers were making statements in the newspapers scoffing at the flying saucers. However, it was later learned that at least one Pentagon general was taking the flying disc reports in dead earnest in the midst of the public debunkery Brig. General George Schulgen, Chief of the Air Intelligence Requirements Division of Army Air Corp Intelligence, began an investigation into the saucers on July 9. Schulgen stated that research was "being conducted with the thought that the flying objects might be a celestial phenomenon, and with the view that they might be a foreign body mechanically devised and controlled." In other words, Schulgen wanted to know whether the flying discs were of Russian or celestial origin. Schulgen said his intelligence organization was using "all of its scientists" to determine whether such craft could, in fact, exist. In addition, Schulgen wanted to use the resources of the FBI to help interrogate witnesses. However, in a memo from July 10, FBI director J. Edgar Hoover expressed reluctance, citing previous lack of cooperation with the Army Air Force on a hoax disc case from Louisiana, where Hoover mentions that the Army "grabbed it" and wouldn't let the local FBI field office examine the object. However, Hoover relented. Schulgen's intelligence estimate three weeks later concluded that the saucers were not imaginary; "something is really flying around," and summarized saucer descriptions and flight characteristics. Vandenberg's involvement with UFO's didn't end in July 1947. As all good students of UFO history know, at the end of the year, the Air Force established "Project SIGN", the first publicly official Air Force UFO study group. This was done on the urging of Gen. Nathan Twining, C/O of the Air Material Command at Wright Field, where Roswell debris was flown for analysis by the laboratories there. On September 23, 1947, Twining wrote a famous Secret memo (text format) stating that the saucers were real, and urged their serious study through the cooperative effort of many government and military agencies. (The day after Twining's memo, Truman allegedly created the Majestic 12 group.) Twining's memo was prompted by Schulgen's earlier probe, also concluding that the saucers were real. Schulgen then requested that Twining and his command conduct a more thorough investigation. In an intriguing anecdote, Roswell researcher Kevin Randle in his UFO Casebook, mentions bumping into a colonel during the early 1980s. The colonel, who had been affiliated with Project SIGN when he was a lieutenant, told Randle that earlier drafts of the Estimate did include mention of metallic material recovered from New Mexico. Allegedly Vandenberg ordered this physical evidence removed from the report, then, in true military "Catch-22" fashion, spiked the final report citing no physical evidence. According to others, such as Major Donald Keyhoe, director of NICAP, Vandenberg killed the report to prevent it from becoming official Air Force policy, fearing public reaction if and when news of it leaked out. Loren Gross, a well-regarded UFO historian of this period, wrote further that Vandenberg's experience from a year before with the media frenzy that accompanied the Roswell base flying disk press release had left a big impression on him. Vandenberg apparently was not anxious for a repeat performance. Vandenberg also did some public UFO debunkery, which lends support to the idea that he feared public panic, particularly about extraterrestrial origins.. E.g., following nationally publicized reports of flying saucers on radar over Washington D.C. being chased by jet interceptors, a large press conference was called on July 29, 1952 to debunk the whole thing. (One of the lead debunkers was the same Gen. Roger Ramey of Roswell infamy, who was now the chief USAF operations officer and called the Air Force's "saucer man".) . The following day, Vandenberg added his two cents to the debunkery. There is certainly a lot of smoke here. But ultimately the fire comes from the Ramey memo, because it documents that Vandenberg knew of a disc and body recovery at Roswell on July 8, 1947. In this context, it seems highly likely that at least some of the events mentioned in Vandenberg's log were directly connected with the Roswell incident. involvement in Roswell events except in the newspapers. In brief, because Vandenberg's activity log didn't explicitly mention him being involved with Roswell, the implication is left that he wasn't involved in any way, despite such mention in the newspapers. Note the cleverly worded "it has also been alleged", as if researchers who had previously mentioned Vandenberg's involvement simply made up or misrepresented the newspaper accounts. the Roswell base press release]. But under the personal direction of Lieut. Gen.
the wires to Texas and New Mexico...."
hurried to his headquarters' press section." Both the Post and Times had permanent Pentagon correspondents. Are we to believe they made the whole thing up? field and then to Ramey's headquarters at Fort Worth." New Mexico were jammed. ...Surmising that the find had been flown to Brig. Gen. Note that in all these accounts, there is a suggestion that Vandenberg being in the AAF press room was unplanned. Vandenberg "hurried" to the press room, or "dropped in." Reconstruction of events from the newspaper accounts and Vandenberg's log indicates that this must have happened sometime between 5:14 and 6:15 (EST) when his log shows him being out of his office. All that's indicated for this one hour period is Vandenberg meeting with AAF Secretary Stuart Symington about Pres. Truman's Air Board. But only 6 minutes before he left, his log shows him previously stepping out for only 4 minutes to likewise talk to Symington about the Air Board. (Obviously Symington's office was very close by.) A few hours before this, Vandenberg had another meeting with Symington, again supposedly on the Air Board, lasting half an hour. The Roswell base press release of recovering a flying disc didn't hit the AP wire until 4:26 EST (5:26 EDT). Vandenberg could easily continue his third meeting with Symington on the Air Board later while he dealt with the immediate public relations' crisis. Since the events happened in the press room and were unplanned, this might explain why no note of it was made by his secretary if Vandenberg neglected to mention it when he returned. On the other hand, it is extremely odd that this nationally/internationally reported story involving Vandenberg didn't receive a single mention in his activity log, whereas the previous day a hoax recovered disc story personally handled by Vandenberg was written up in great detail (see further below). There is a hidden assumption by the Air Force that the daily log detailed everything that happened in Vandenberg's day. Even a casual look at the log indicates this clearly wasn't true. A number of other items in Vandenberg's diary are not detailed. E.g., on the previous day, Vandenberg personally met Symington at the airport and returned with him to his office. Vandenberg was out for 1 hour 40 minutes. No details were provided (more on this possibly highly significant event below). He also met with Symington later the same day for 15 minutes, again with no subject matter listed. Furthermore, even when subject matter was noted, it doesn't tell us whether that was the only topic of discussion. E.g., were Vandenberg's three meetings with Symington on July 8 only about the Air Board? Couldn't other other matters be discussed, such as the situation in Roswell, which had created such a public relations crisis? The daily log usually wasn't a detailed account of the various meetings, but a brief note that meetings occurred. Sometimes some detail was added, but often not. Besides the public newspaper accounts of Vandenberg personally taking charge to get to the bottom of things at Roswell and Fort Worth, there is now the Ramey memo which implicates Vandenberg at a much deeper and much more secretive level. Obviously, if a flying saucer had crashed, Vandenberg would have to become involved. The whole operation would ultimately be directed from the Pentagon. Although the Air Force report claimed they went through Vandenberg's papers at the National Archives, they apparently didn't dig too deep and chose only to present Vandenberg's appointment book and diary. However, even in these there are some hints that something important was taking place (though no smoking guns). One item, which at first seemed very suspicious, upon closer investigation probably was not related. The very first entry in the Air Force's published portion of Vandenberg's diary from Saturday, July 5 noted him returning from Wichita Falls, Texas, at 1:00 pm. His business there was not specified. Wichita Falls was the site of an AAF base, only 100 miles NW of Fort Worth and 350 miles east of Roswell. Furthermore, Dallas and Austin newspaper stories from July 7 also placed him in Dallas on his return to Washington. The same newspaper stories also have Vandenberg briefly talking about the current UFO situation. "Lieutenant General Hoyt S. Vandenberg, deputy commander of the US Army Air Forces, stopping off briefly at Hensley Field in Dallas, said the AAF was receiving thousands of queries about the flying discs. One curious woman, he said asked: 'Has Russia discovered the secret of the flying disc?'" So what was going on here? Vandenberg was in the Roswell incident region only three days before the story broke on July 8. Was this merely a coincidence or was something else happening that required the personal presence of the acting AAF Chief of Staff? As it turns out, this probably was a coincidence. Closer examination of earlier Texas newspaper reports indicate that Vandenberg was attending the opening ceremonies on July 4 of the national soaring contest held in Wichita Falls, perhaps as a political favor to the local congressman who accompanied him from Washington. In fact, his expected presence there was announced in a Dallas Morning News story on June 29. However, other "coincidences" in Vandenberg's daily log may not be so innocent. On the morning of July 8 (the day of the Roswell press release and Ramey memo), a previously scheduled meeting was canceled and replaced by a 2-1/2 hour meeting with the War Department's Joint Research and Development Board (later just the Research and Development Board or RDB). Why would is this significant? For one, this meeting was also going on at exactly the same time as the morning general staff meeting in Roswell, where Roswell public information officer Walter Haut said Ramey and the Roswell staff were discussing how to publicly deal with the situation. Ramey proposed a coverup strategy and Haut said he thought Ramey was getting his orders from the Pentagon. After the meeting with Eisenhower, Symington and Vandenberg went to an hour-and-a-half meeting of the Joint Chiefs of Staff (presumably Eisenhower and Norstad showed up there as well). Vandenberg's appointment book suggests it was a previously scheduled "luncheon." Whether the luncheon was limited to social "chit-chat" or included heavier matters is open to speculation, because nothing is detailed here either. After the "luncheon", Vandenberg again conferred with Symington for 40 minutes, but again no details of this meeting are provided in the daily log. By another remarkable "coincidence", at the same time as Vandenberg's morning meeting, Truman also just happened to be seeing New Mexico Senator Carl Hatch in a private meeting requested suddenly by Hatch two days before on the afternoon of July 7 (right after Vandenberg got back from his meeting with Symington at the airport). According to some testimony, a staff member of either New Mexico Senator Dennis Chavez or Sec. of Agriculture Clinton Anderson (formerly a N.M. Senator) had called Roswell radio station KGFL the morning of July 8 or July 9 and warned them not to air an interview they had just taped with rancher Mack Brazel concerning his crashed flying disc (see, e.g., affidavit of KGFL co-owner Judd Roberts). In another account from Pete and Ruben Anaya of Roswell, New Mexico Lt. Governor Joseph Montoya had told them of seeing alien bodies and crash debris in a base hangar, probably on July 8. Some time after this, Chavez allegedly told them, "Joe Montoya is a damn liar! He didn't see anything. It was a secret project, and it could hurt us with Russia and Germany if word of it got out." This suggests that Chavez was indeed told something, true or not, and that New Mexico's Congressional delegation may have been informed about and involved to some extent in what happened at Roswell. One documented example of Congressional "meddling" in the Roswell incident concerns Senator Ed Johnson of Colorado. According to a short INS item in the Los Angeles Herald-Express the evening of July 8, Johnson had called the Denver Post from Washington and told them that the solution to what happened at Roswell may have been either a radar target or meteorological balloon. What's remarkable about this is just how early Johnson announced this (not to mention how he had gone out of his way to personally phone a major newspaper in his state.) In Fort Worth, Gen. Ramey had just begun to suggest that the Roswell "disk" was a weather balloon and radar target, but this wasn't to become official for another hour-and-a-half, after Ramey had brought in his weather officer. How Senator Johnson got a hold of the story isn't clear, but is suggestive of a predetermined "solution" that perhaps got leaked too soon. July 8: AAF says flying saucers are NOT "Space Ships"
Again the "coincidences" just keep piling up. July 7: Why did Vandenberg change schedule to meet Symington at airport? As already noted, there were numerous meetings with AAF Secretary Symington on July 7 and 8, including Vandenberg personally going to the airport to meet Symington on July 7 at 2:30 p.m. The two then returned to Symington's office at the Pentagon. This does not seem normal and suggestive of some urgent piece of business which Vandenberg thought couldn't wait until Symington returned on his own. Of course, this is speculative, however Vandenberg canceled a previously scheduled dental appointment in order to meet Symington. According to Roswell public information officer Walter Haut, he learned of a body/craft site north of Roswell late on the afternoon of July 7, which had just been discovered by civilians. Had the first reports been received by around noon in Roswell or 2:00 p.m. in Washington, this could well explain the urgent piece of business that demanded Vandenberg personally meet Symington at the airport. (More speculation). Also possibly related is that Vandenberg upon returning to his his office at 4:10 p.m. immediately met (for 5 minutes) with Maj. General Emmett O'Donnell. O'Donnell was director of information for the Army Air Force, i.e., their chief public information officer. It would be his responsibility to deal with the media. In addition, O'Donnell the previous year had been deputy chief of engineering for the Air Technical Service Command (soon afterwards, the Air Materiel Command) at Wright Field, where it is believed Roswell crash debris was taken for analysis Thus one can further speculate O'Donnell, with his background in both engineering and public relations, would be a good person to advise Vandenberg on how to deal with both aspects of a flying saucer crash. Immediately after meeting O'Donnell, Vandenberg again spoke with Gen. LeMay for 5 or 10 minutes. At 5:00 p.m., Vandenberg again went to see Symington, again with no details provided. It is interesting that Vandenberg would even personally field such a call. Normally this would be handled by underlings, particularly the public information people. My interpretation is that Vandenberg wanted to put his seal of approval on the official story that the Army Air Force wasn't particularly concerned over the flying disc reports. In modern parlance, Vandenberg was spinning the story. Two extremely rare articles immediately after the Roswell incident have Vannevar Bush denying any knowledge of the "flying saucers." The reporters commented, however, that people like Bush would be held to such strict rules of secrecy that they couldn't even hint at what they might know even if they did know. Another JRDB member, physicist Dr. Lawrence. R. Hafstad (N.Y. Times obituary) was openly debunking the saucers right after this meeting. "Dr. L. R. Hafstad, executive secretary of the Joint Research and Development Board, said he couldn't figure out why people wasted so much time talking about the saucers. He could describe them , he said in one word--'poppycock!'" This statement by Hafsted was in the same story that came out early on July 8 stating that the Army Air Forces (AAF) had issued a press release stating what the saucers were NOT: They weren't Russian germ warfare weapons, they weren't some new-type Army rocket, and they weren't "SPACESHIPS"! (sample stories) Very soon after this came another official AAF press release out of Roswell that they had actually recovered a flying saucer. (stories) issuing the somewhat earlier press release, it seems the AAF was already laying the groundwork for denial that they had recovered something like an actual "spaceship". Just prior to this hastily called meeting of the JRDB, Vandenberg was briefed about the meeting by Gen. Curtis LeMay, then vice-chief of staff of the AAF for Research and Development. One Roswell witness, Army photographer Frederick Benthal, said he was briefed that he might encounter LeMay at the body site he was eventually taken to. If true, this would mean LeMay may have seen what happened at Roswell first-hand. Vandenberg's log mentions him meeting with LeMay on July 7 at 4:20, which would have given LeMay adequate time to fly to Roswell thereafter, quickly assess the situation, and then fly back to brief Vandenberg on the morning of July 8 before the JRDB meeting. Alternatively, LeMay could have sent an agent in his stead, who would then report back to him. Evidence of the latter scenario has recently emerged. In 2007, veteran USAF pilot Ben Games told a UFO group that he had flown Maj. Gen. Laurence C. Craigie to Roswell from Wright Field. At the time, Craigie was chief of the Research and Engineering Division at Headquarters Army Air Force (with LeMay his boss). Games said Craigie had been sent to investigate the crash on the orders of Gen. LeMay. Craigie was there during the night for a few hours before returning to Washington D.C., and didn't tell Games what he had seen or found out. The "coincidences" keep piling up. In addition, Vandenberg was briefed by Dr. Edward Bowles of MIT, who also acted as a consultant to the Secretary of War. Bowles had close connections to Vannevar Bush going back before the war. Bowles, an expert in radar, served on the Microwave Committee of the National Defense Research Committee, headed by Bush, the immediate predecessor of the wartime OSRD. The two of them helped establish the radar and radiation research facility at MIT. 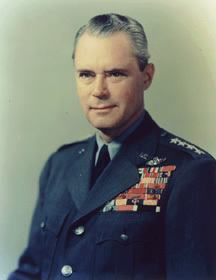 Connections between Bowles and LeMay date back to at least 1945 when Bowles, along with Gen. Hap Arnold (AAF Chief of Staff), Gen. Lauris Norstad (AAF Asst. Chief of Staff, Plans), Donald Douglas (President of Douglas Aircraft), and others established the first post-war military think-tank, Project RAND as a division of Douglas Aircraft. RAND reported directly to LeMay, the first AAF vice chief for R & D.
But it was still over 10 years before the U.S. achieved orbital flight, so what was the great urgency in Vandenberg suddenly calling this meeting of the JRDB on the morning of Roswell? I would speculate it was because of a perceived threat from space which they felt they had to confront in space, thus a policy response to the current flying saucer wave. The previous day, Vandenberg is also noted as meeting briefly with LeMay on two occasions, one of them being noted "with reference to discs." The context, however, may indicate that this was in reference to a hoax disc recovery in Houston (the incident mentioned by the Air Force in their Roswell report). Second, the JRDB was chaired by Dr. Vannevar Bush. During WWII, Bush was the nation's science czar, head of OSRD (Office of Scientific Research & Development) which coordinated wartime weapons development. After WWII, Bush and the Pentagon created the JRDB as a successor for OSRD. In late 1950/early 1951, Canadian documents fingered him as heading up a small group within the RDB looking into the "modus operandi" of the saucers. These documents also state (based on a briefing provided the Canadian embassy in Washington) that the stories of crashed saucers circulating at the time were essentially true, the saucers were real, and that the entire subject was classified higher than the H-bomb. During the morning of July 10, Vandenberg and LeMay met with Gen. Leslie Groves and Gen. Robert Montague at the Pentagon. Groves and Montague had flown together unannounced to Washington the previous day. Groves was military director of the wartime Manhattan Project and currently commander of the Armament Development Project at Los Alamos, N.M. He was also affiliated with the highly secretive Special Weapons Project at Sandia Base near Albuquerque. 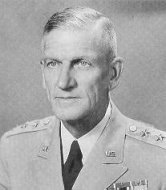 Gen. Montague was commander of the Army Guided Missiles School at Ft. Bliss, El Paso, Texas and also in charge of the White Sands Missile Range. A week later, Montague was publicly named commander at Sandia base. This ceremonial signing with President Truman on July 10, 1947, two days after the Roswell incident, certainly looks innocent enough, but there may be more here than meets the eye. American aviation hero Gen. Jimmy Doolittle (seated left) had been Gen. Vandenberg's (standing left) primary investigator during the 1946 UFO incidents over Europe (the "ghost rockets") when Vandenberg was head of the Central Intelligence Group (predecessor of the CIA). In 1945, he may also have investigated on behalf of Pres. Truman the mysterious "Foo Fighters" or "Nazi fireballs" dogging Allied aircraft. Gen. Norstad (standing right), as AAF Director of Plans and Operations in 1947, would have been responsible for monitoring incoming reports on the new flying disk phenomenon. AAF Secretary Symington (seated right) along with Vandenberg, Norstad and Doolittle had all conferred the previous day in a lengthy meeting with Army Chief Gen. Eisenhower. Was such a lengthy, high-powered meeting merely about signing a slip of paper or is there some connection to the flying saucer reports at the time and Roswell? Vandenberg then got in touch with a Colonel Warren at Ellington Field, Texas, who told him the Chronicle had a small disc with Hackett's name on it. Vandenberg instructed him to go look at the disc himself, tell them the AAF was investigating but didn't knew anything about it, and "explode" the story. Then Vandenberg, for unexplained reasons, canceled his dental appointment and rushed out to the airport to meet Symington. This raises the big question as to why Vandenberg's log greatly details his interest and involvement in the Houston hoax disc based entirely on the say-so of a newspaper, yet records not a single word the next day about an official announcement from Roswell Army Air Field that they had recovered a real flying disc. Surely this should have deserved a brief mention. Yet only the newspapers reported his involvement, saying he rushed to the press room and took charge. But not even that is written down in his activity log. From this, the Air Force propagandists try to make an argument that Vandenberg had no interest in what happened at Roswell and therefore nothing of importance must have happened there. However, if Vandenberg had little or no interest in Roswell, it becomes very hard to understand why Vandenberg would be this concerned the previous day over what he must have known to be a hoax disc or spend this much time personally dealing with it instead of letting underlings handle the situation. However, if Vandenberg knew they had a real crashed disc on their hands over in New Mexico, he might have been concerned that there had been security leak, or that the hoax crashed disc might compromise the secrecy of the real thing by making the press ask questions. Vandenberg did seem to be either seeking public relations advice or giving out instructions concerning PR handling of the discs, first from Symington's PR man, then perhaps from Gen. O'Donnell after having just met with Symington. More potentially important meetings occurred on July 9, including several more with Symington. Vandenberg and Symington conferred with Lt. Gen. James "Jimmy" Doolittle in the morning, before the three of them went to an hour and a half meeting with Army Chief of Staff Eisenhower. Also at this meeting was Gen. Lauris Norstad, AAF Director of Plans and Operations. In all these meetings, Vandenberg's diary lists no subject matter. Doolittle is best known to most Americans as an aviation pioneer and the man who led the daring bombing raid of Tokyo in April 1942 (also commonly called "Doolittle's Raid"). Little known was his connection to military intelligence. Gen. Norstad, like Vandenberg and Doolittle, also had a strong military intelligence background. From November 1940 through February1942 he had been the Assistant Chief of Staff of Air Force intelligence at the Pentagon. As already mentioned above, he was one of the people instrumental in establishing Project RAND in 1945, still a major military think tank in the present day. As Air Force Director of Plans and Operations in July 1947, he likely would have been in charge of monitoring all reports of unidentified or suspicious aircraft posing a potential security threat, otherwise known as CIRVIS reports (standing for Communications Instructions Reporting Vital Intelligence Sightings) as detailed in this later CIRVIS set of regulations (see Section 5). In other words, Norstad would have been the likely person at the Pentagon in charge of handling the flood of flying disk reports that had come in the previous two weeks.and which Vandenberg himself admitted to the newspapers they had actively been investigating since July 3. The morning after the Roswell base flying disc press release and Gen. Ramey's telegram to Vandenberg about finding a disc and "the victims of the wreck", Vandenberg, Symington, Doolittle, Norstad and Eisenhower were all conferring together about something that wasn't disclosed in Vandenberg's daily log. What was it? Vandenberg also spoke on the phone to President Truman during this meeting. Officially, Vandenberg's log says the White House first called Vandenberg's office to "advise" him to meet with the President the following day about the signing of an Air Force proclamation. Doolittle accompanied Vandenberg to that meeting with Truman the next day, along with Norstad and Symington (see photo immediately below). Then at 1:55 p.m., Vandenberg had the brief meeting "with reference to the discs" with Gen. LeMay and Sec. Symington's director of public relations, Stephen Leo. What was going on here? Perhaps this was connected to what happened next at 2:00 when a phone call was placed to a Colonel Hackett in Spokane. Vandenberg informed Hackett that they had received a call from the Houston Chronicle saying that flying disc had landed there with Hackett's name on it. Further, Hackett was told it was reported that he had said his people knew all about it and that a statement would be coming from Washington. Hackett denied knowing anything about it or saying anything, but had his people call the Chronicle, telling them to contact the FBI. 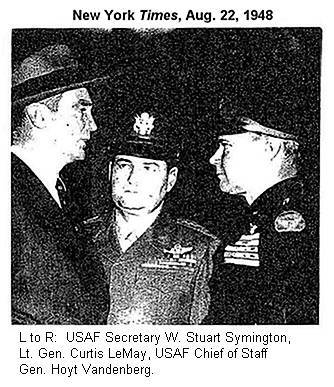 (Unrelated photo at right from 1948 shows Symington, LeMay, and Vandenberg conferring together during Berlin Air Lift crisis. July 8: Army Air Force says flying saucers NOT "space ships"